solar flares | Science...For Humans! Mauritius may be well known for its extinct Dodos, sun, seas and sand but when it comes to scientific research, not much is said to be done. Did I say it’s said? 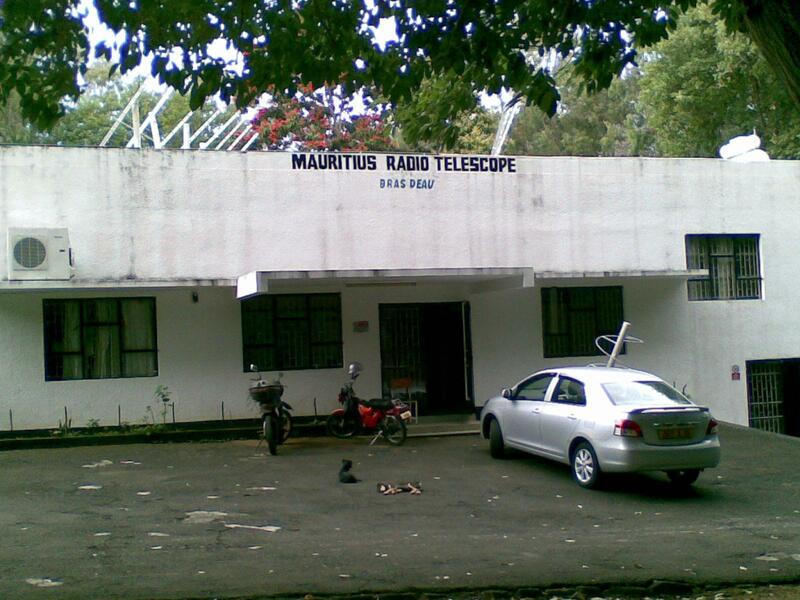 Fact is, there is a centre of astronomical research in Mauritius little known to the general Mauritian. Its name is the Mauritius Radio Telescope(MRT for short) and this comes as close to research as anything. MRT is one of those few places that one can call “isolated”- no sign of life for kilometres at end(except for some of the researchers, the nasty dogs, and yes…the birds- it is found in a natural bird reserve). I am one of those lucky few who have had the honor to visit the place and also one of the fewer few who is able to be part of the centre. MRT is currently participating in the Callisto Project, whose aim is to collect astronomical data from solar flares and send these to participating countries. (Sounds pretty exciting…believe me, exciting is an understatement). In which some of the residents are dozing off after a hard day’s work. That goes on for one kilometer to the right. Sorry for the fuzziness in this pic but that’s when the mother of the native residents saw the strange being who was doing strange things with a camera in its hands and started chasing it. Room X: Where it all happens! THAT’S ALL FOLKS…FOR NOW, OF COURSE!